Manmohan Desai was 57 years	& 3 days old age. 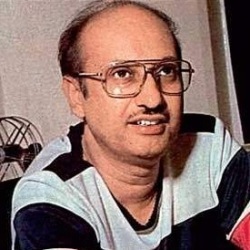 Manmohan Desai was born on 26-02-1937 in Mumbai in the state of Maharashtra, India. 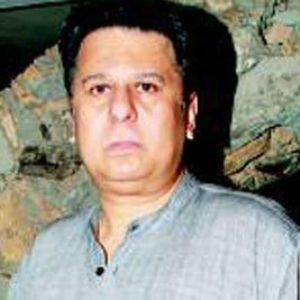 He was an Indian Film Producer & Film Director who known for his work in Bollywood films. Desai began his career in the year 1960 as a director and producer. His first movie was ‘Chhalia’ which released in the year 1960. He is known for making family movies and his genres of films are known as ‘Masala’ movies. His first movie was critically acclaimed and he went ahead to direct and produce several movies. Some of his popular movies are ‘Bluffmaster’, ‘Kismat’, ‘Sacha Jhutha’, ‘Bhai Ho To Aisa’, ‘Dharam Veer’, ‘Amar Akhbar Anthony’, ‘Coolie’, ‘Naseeb’, ‘Mard’, ‘Anmol’, ‘Dus’ to name a few. He worked with the superstars like Shammi Kapoor, Amitabh Bachchan, Hema Malini, Jeetendra, Rajesh Khanna etc. Desai had a long career of 29 years in which he produced 13 massive hits. Amitabh Bachchan and Desai shared a good rapport and he worked with Mr. Bachchan in many movies. He also worked with writers like K.K Shukla, Kader Khan and Prayag Raaj and lyricists like R.D. Burman, Kalyanji Anandji, and Laxmikant Pyarelal. Most of his movie songs were sung by Kishore Kumar and Mohd. Rafi. 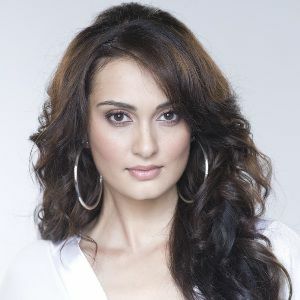 Desai had a team of geniuses and hence was able to deliver hits very efficiently. He has contributed immensely to the Indian cinema. Manmohan Desai died on 01-03-1994 in Mumbai, Maharashtra, India. He fell off the balcony in Girgaon. He was collapsed and died. He suffered a chronic back pain. Desai was married to Jeevanprabha Gandhi and the couple had a son from their marriage.